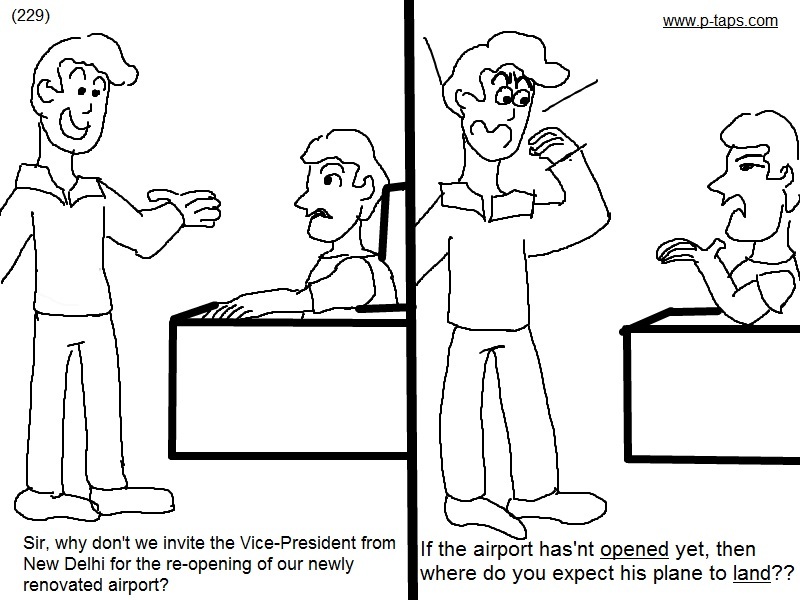 ASSISTANT - Sir, why don't we invite the Vice President from New Delhi for the re-opening of our newly renovated airport? 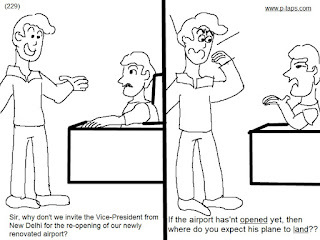 POLITICIAN - If the airport hasn't opened yet, then where do you expect his plane to land? ?